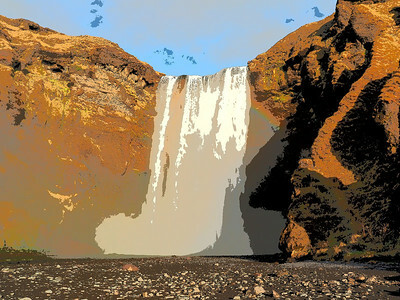 Skogafoss waterfall. Olympus E-M1, 12-60mm SWD 4/3 lens. F5, 1/500s, ISO 200, Dramatic tone art filter. 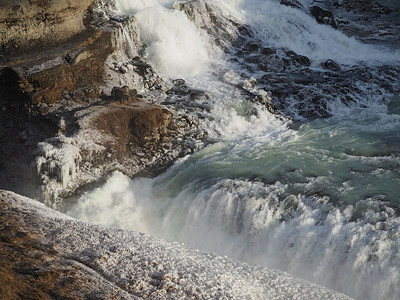 This huge waterfall offers a dramatic and spectacular subject. The first time I have captured with Clear skies and sunshine thus providing opportunities for a rainbow resulting from the huge amount of spray generated as the water cascades downwards. With such a dramatic scene one hardly needs a dramatic tone art filter.... but I played anyway. Blue Lagoon Geothermal pools. Olympus E-M1, 12-60mm SWD 4/3 lens. F7.1, 1/1000s, ISO 200 Hot (mid 80'sF) and milky blue water rich in minerals like silica and sulphur constantly oozing steam are not the usual places one would take a camera..... perfect, in with the the E-M1 I went. The milkly blue water, steam and reflecting sunlight made for a harsh and dramatic environment in which to test out the various art filters and high dynamic range environment. I really liked the dramatic tone images such as this, shooting into the sun and effecting eerie shadow like creatures. 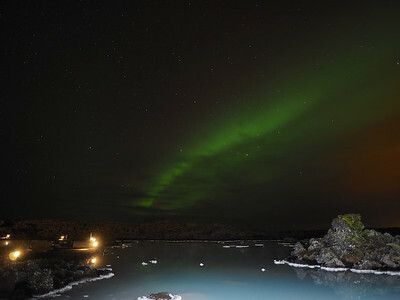 Aurora over Blue Lagoon Geothermal pools. Olympus E-M1, 12mm m4/3 lens. 3 exposures -F2, ISO 400, 13.6s/13.4s/9.8s Good solar geomagnetic forecast (and clear skies) allowed for Aurora opportunities. 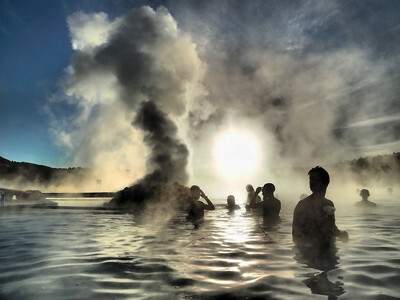 During the daytime I located a good foreground subject (Geothermal pool with its milky blue water) with a view to returning later that evening. 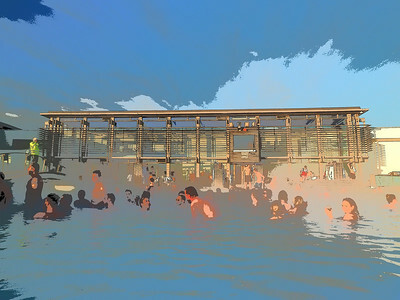 This is a 3 shot landscape stitch over the geothermal pool. It was composed & shot with the live bulb mode which allowed me to perfectly expose the Aurora brightness for each frame. A very useful tool indeed for this subject (especially when stitching). I shot numerous images of the aurora using the m4/3 12mm lens & the 4/3 lenses (8mm & 7-14mm) and the m4/3 12mm won hands down in exposure speed & quality. It handled the low light far quicker and better than the 4/3 series I found. 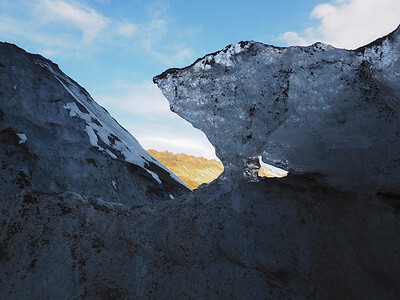 Glacier, Solheimajokull. Olympus E-M1, 75-300mm m4/3 lens. F5.9, 1/60s, ISO 200. Its not all about wide. Zoom in on your subject for a detailed composition. 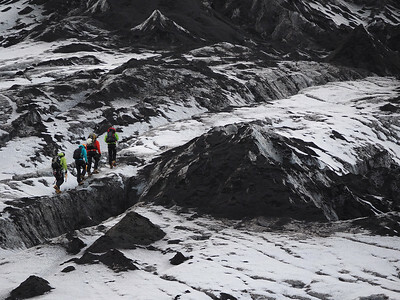 Walkers give a good perspective to the glacier. A combination of the bright ice and snow with the dark volcanic rock make a testing exposure on this 179mm focal length shot. Camera handled it well. 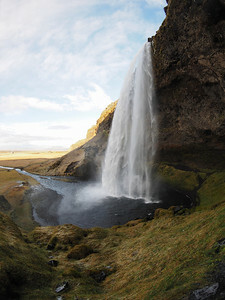 Seljalandsfoss waterfall. Olympus E-M1, 8mm fisheye 4/3 lens. F4, 1/400s, ISO 200. 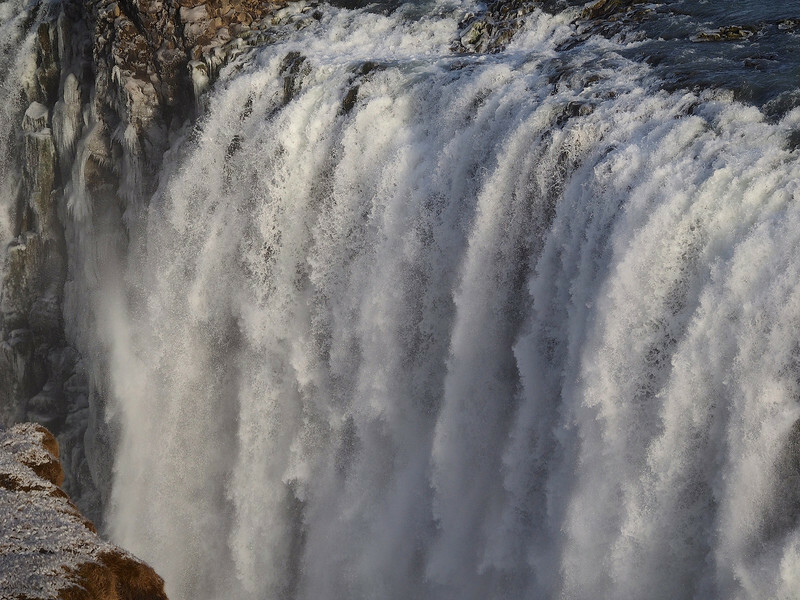 Another spectacular waterfall and one you can walk behind. This shot captured with the 4/3 8mm fisheye which had no problem exposing or focusing when used on the E-M1 (with adapter). So pleased to know that my 4/3 lenses are producing equally, if not better images with the E-M1. 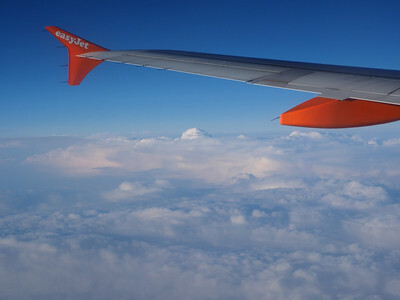 Somewhere over the North Atlantic. Olympus E-M1, 12-50mm m4/3 lens. F5.9, 1/1600s, ISO 200. I just love capturing the clouds from above & camera always comes with me on my plane seat (I also always get a window seat). Really impressed with the sharpness & image quality of this from the bundled m4/3 12-50mm. Bear in mind plane movement & through glass & plastic windows. Glacier, Solheimajokull. Olympus E-M1, 12mm m4/3 lens. F3.2, 1/800s, ISO 200. Whilst walking on the glacier came across this chunk of ice wall with a few windows. The ice was caked with black volcanic ash and the bright sky offered a testing dynamic range capture. I focused on the green land/mountain using the touch lcd screen, another great feature allowing to compose and focus together. 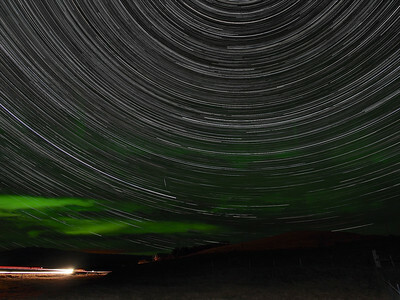 StarTrail over Solheimahjaleiga, 24km west of Vik. Olympus E-M5, 12mm m4/3 lens. F3.5, 15s (1600 No exposures), ISO 320. Taking advantage of the clear black & pollution free skies in a remote location in South Iceland I set up the E-M5 (with battery pack) to shoot an all night startrail. Sadly I never had the battery pack for the E-M1. Still, this resulting composite of over 1500 images is fantastic. Very clean and the bonus of minor aurora during the shoot adds some drama to the composition. The m4/3 lenses in low light shoots such as these I am increasing finding are so good and light sensitive. They allow lower ISO levels and equal or lower exposure times with far superior quality output than the E5. The composition was based around polaris (north star) which gives the swirly star effect (Earth's rotation). Bright lights bottom left passing vehicle.....only 1 all night! Blue Lagoon Geothermal pools. Olympus E-M1, 12-60mm SWD 4/3 lens. F4.5, 1/1600s, ISO 200 Hot (mid 80'sF) and milky blue water rich in minerals like silica and sulphur constantly oozing steam are not the usual places one would take a camera..... perfect, in with the the E-M1 I went. The milkly blue water, steam and reflecting sunlight made for a harsh and dramatic environment in which to test out the various art filters and high dynamic range environment. I really liked the dramatic tone images such as this, shooting into the sun over the foot bridge. 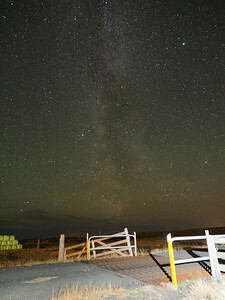 Milky Way, Solheimahjaleiga, 24km west of Vik. Olympus E-M5, 12mm m4/3 lens. F2.5, 45s, ISO 1600. Making the most of the light pollution free skies I set about capturing some long exposure images. To assist I utilised the nifty Live Bulb/Time mode, a great feature of he E-M1. Essentially once you depress the shutter release an image pops up sequentially on the LCD every few seconds allowing a visual of the subject/exposure (you can choose how long interval) whilst still long exposing. Simply a case of waiting for the exposure to be as bright or dark as you desire and then press the shutter release to finish. Very pleased with this Milky Way image since I set the ISO to a high 1600 and the resulting image has noise but handles it well. The star detail is good. In hindsight I should held back on the foreground light painting as this has slightly over burned. 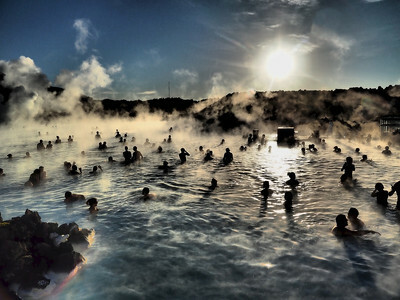 Blue Lagoon Geothermal pools. Olympus E-M1, 75-300mm m4/3 lens. F5.6, 1/2500s, ISO 200. 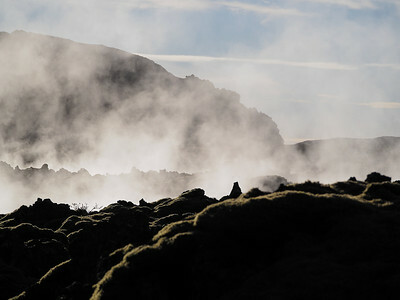 Steam venting from the volcanic landscape at the Geothermal area around the Blue Lagoon. A harsh lighting shot, into the sun. Blue Lagoon Geothermal pools. Olympus E-M1, 12-60mm SWD 4/3 lens. F5, 1/100s, ISO 200. 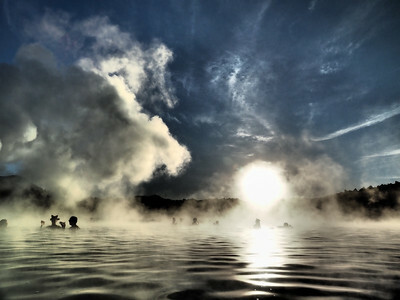 The milky blue waters of the geothermal lagoon with setting sun. Excellent light and shadows. 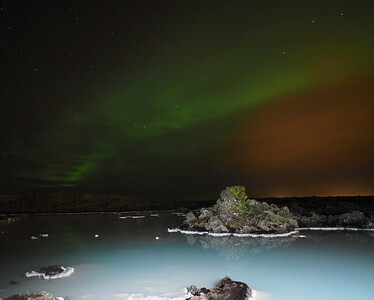 Aurora over Blue Lagoon Geothermal pools. Olympus E-M1, 12mm m4/3 lens. F2, ISO 400, 13s Good solar geomagnetic forecast (and clear skies) allowed for Aurora opportunities. 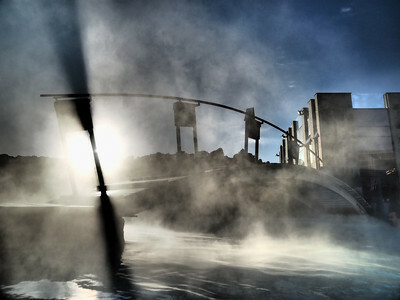 During the daytime I located a good foreground subject (Geothermal pool with its milky blue water) with a view to returning later that evening. This was composed & shot with the live bulb mode which allowed me to perfectly expose the Aurora brightness. A very useful tool indeed for this subject (especially when stitching). I shot numerous images of the aurora using the m4/3 12mm lens & the 4/3 lenses (8mm & 7-14mm) and the m4/3 12mm won hands down in exposure speed & quality. It handled the low light far quicker and better than the 4/3 series I found. Blue Lagoon Geothermal pools. Olympus E-M1, 12-60mm SWD 4/3 lens. F5, 1/400s, ISO 200. Shot using the new Key line art filter. An interesting filter this and more of the artistic side. It works particularly well with buildings (strong lines). 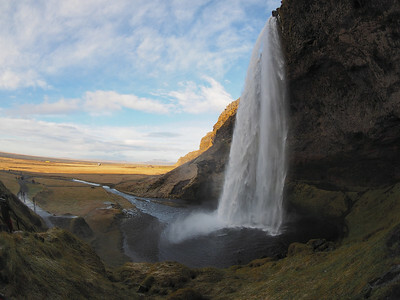 Seljalandsfoss waterfall. Olympus E-M1, 8mm fisheye 4/3 lens. , ISO 200. 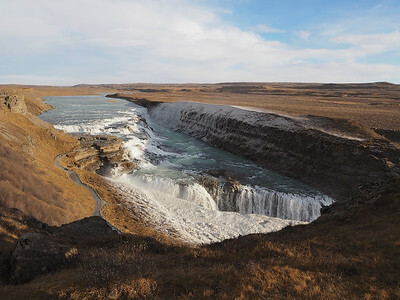 Another spectacular waterfall and one you can walk behind. This shot captured with the 4/3 8mm fisheye which had no problem exposing or focusing when used on the E-M1 (with adapter). So pleased to know that my 4/3 lenses are producing equally, if not better images with the E-M1. 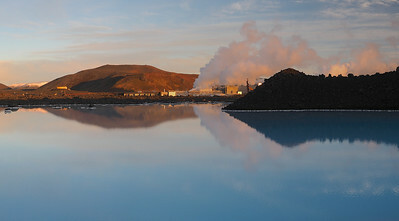 Aurora over Blue Lagoon Geothermal pools. Olympus E-M1, 12mm m4/3 lens. Good solar geomagnetic forecast (and clear skies) allowed for Aurora opportunities. During the daytime I located a good foreground subject (Geothermal pool with its milky blue water) with a view to returning later that evening. This was composed & shot with the live bulb mode which allowed me to perfectly expose the Aurora brightness. A very useful tool indeed for this subject (especially when stitching). I shot numerous images of the aurora using the m4/3 12mm lens & the 4/3 lenses (8mm & 7-14mm) and the m4/3 12mm won hands down in exposure speed & quality. It handled the low light far quicker and better than the 4/3 series I found. 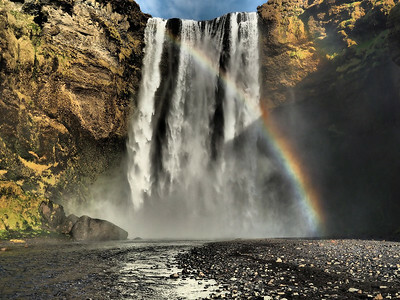 Skogafoss waterfall. Olympus E-M1, 12-60mm SWD 4/3 lens. Key Line art filter. This huge waterfall offers a dramatic and spectacular subject. The first time I have captured with Clear skies and sunshine thus providing opportunities for a rainbow resulting from the huge amount of spray generated as the water cascades downwards. Playing with the art filters built into the E-M1. Blue Lagoon Geothermal pools. Olympus E-M1, 12-60mm SWD 4/3 lens. Hot (mid 80'sF) and milky blue water rich in minerals like silica and sulphur constantly oozing steam are not the usual places one would take a camera..... perfect, in with the the E-M1 I went. The milkly blue water, steam and reflecting sunlight made for a harsh and dramatic environment in which to test out the various art filters and high dynamic range environment. I really liked the dramatic tone images such as this, shooting into the sun and effecting eerie shadow like creatures. Blue Lagoon Geothermal pools. Olympus E-M1, 12-60mm SWD 4/3 lens. Grainy film art filter Hot (mid 80'sF) and milky blue water rich in minerals like silica and sulphur constantly oozing steam are not the usual places one would take a camera..... perfect, in with the the E-M1 I went. The milkly blue water, steam and reflecting sunlight made for a harsh and dramatic environment in which to test out the various art filters and high dynamic range environment. Playing with the art filters built into the E-M1. 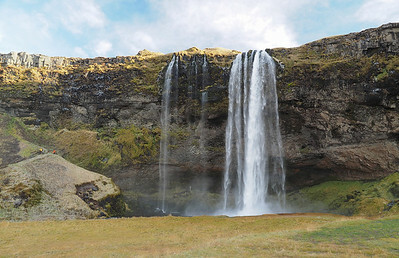 Seljalandsfoss waterfall. Olympus E-M1, 12-60mm Another spectacular waterfall and one you can walk behind. This shot captured with the 4/3 12-60mm. So pleased to know that my 4/3 lenses are producing equally, if not better images with the E-M1. 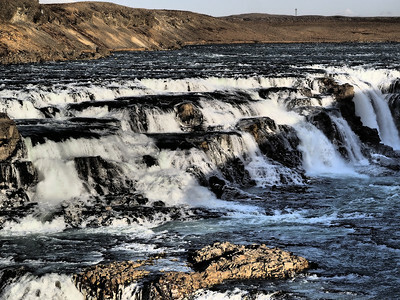 Gullfoss waterfall. Olympus E-M1, 12mm This is one massive & powerful waterfall. Plenty of opps for wide shots together such as this which nicely captures the scale of these falls. Volcanic landscape covered in moss. 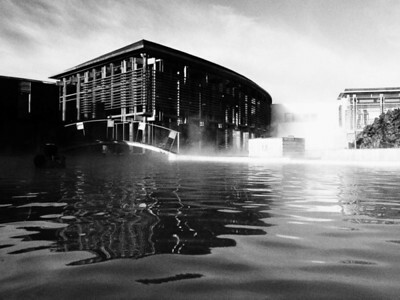 Olympus E-M1, 12mm. 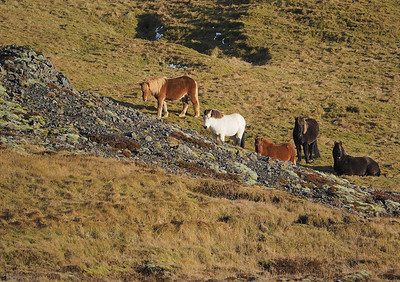 The scenery in many parts is like a set from a Hollywood movie. The harsh volcanic rock landscape, covered in green moss make quite a dramatic subject. This panorama is a 3 shot stitch. 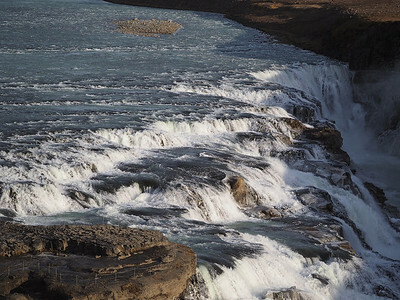 Gullfoss waterfall. Olympus E-M1, 75-300mm m4/3 lens. F5.7, 1/800s, ISO 200.